It’s good to be bad in NetherRealm Studios’ latest trailer for Injustice 2 which showcases some of the series’ greatest villains. 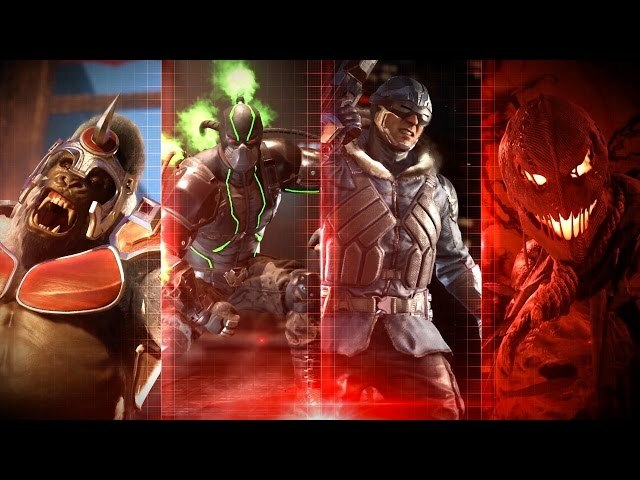 Joining the roster this time around are Bane, Captain Cold and Scarecrow, alongside the already revealed Gorilla Grodd. Best known as one of Batman’s greatest adversaries, Bane is a man of insurmountable strength and incredible intelligence. Orphaned as a boy and imprisoned by tyrants who used him as a test subject, Bane broke free of his shackles in a fit of rage. Fuelled by the über-steroid serum known as Venom, his quest for supremacy puts him directly at odds with anyone who dares to stand in his way. Cold, calculating and armed with a technologically advanced freeze gun, Leonard Snart aka Captain Cold has plans to stop The Flash and his allies in their tracks. Approaching jobs with an utter lack of emotion, Cold is surprisingly empathetic toward his younger sister who he will do anything to protect. Furthermore, his odd personality makes him impossible to predict.